Allergies are a growing problem in Australia, especially amongst children. The homeopathy practised in this Perth naturopathic clinic is uniquely suited to allergy treatment. When combined with a healthy natural approach to diet, lifestyle and disease management, all the underlying allergy causes are addressed. True allergies are called “atopic” disorders. Symptoms of allergy include the asthma/ eczema/ hay fever triad, which is characterised by a pronounced reaction or sensitivity to environmental triggers. Urticaria (hives) and dermatitis and in some cases migraines may also be related. 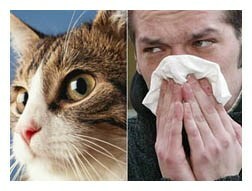 These allergy triggers may be dietary foods or inhaled substances like house dust, pollen or animal hair. People often think that any problem they have that the doctor can’t give them a satisfactory answer for must be due to a food allergy. While it is true that there has been an increase in food allergies and sensitivity because of a combination poor diet, environmental factors and stress and antibiotic treatment, just avoiding an otherwise good food is not the answer. Unless the underlying cause is addressed, you are just as likely to become allergic to something else you are eating in turn. That is where homeopathy and naturopathy as practised at our Perth clinic focuses. The fundamental issue is often disturbed gut function, and the approach in this clinic may be similar to that described on the page Treatment of Irritable Bowel Syndrome. The most important determinant of atopic allergies is the presence of similar diseases in the family history. The maternal (mother’s) side appears to have the stronger influence. Homeopathy takes into account the family history of atopic problems when medicines are chosen. The constitutional remedy that treats the whole person covers inherited tendencies, and specific “miasmic” medicines deals directly with this issue. While the predisposition to allergies may be inherited, whether they manifest is dependent on many other factors, as outlined below. One of the reasons for the increase in allergies is dietary. Those who eat a “Mediterranean diet” have been shown to be much less prone to allergies. This means plenty of fresh fruits, vegetables, fish and seafood, olive oil, beans and pulses, nuts and seeds, which is basically what naturopaths have always recommended. Such a diet rich in antioxidant and anti-inflammatory substances has been shown to reduce to the tendency to wheezing, rhinitis (hay fever), eczema and other skin problems like hives. The monounsaturated oils in olives, nuts and avocados, and the omega 3 oils in fish have a protective effect, while the “trans” fats in margarine, pastries and fast food will only aggravate symptoms. 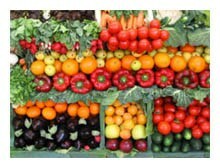 For more information on diet to improve allergies see our recent blog page on this. The use of broad spectrum antibiotics, especially in the first year of life, has been implicated in the increased incidence of allergies, especially asthma. In one study, children who received more than four courses of antibiotics had more than one and a half times the incidence of asthma. This is because of the damage to the gut flora; and as well the immune system is weakened directly by the drugs. Simply giving acidophilus or other bowel flora supplements is not enough to repair the damage. With homeopathy, we have more powerful remedies, such as the bowel nosodes,to heal the problem. Also, homeopathy has very effective medicines for infections such as earinfections, tonsillitis and bronchitis, reducing or eliminating the need for antibiotics, and as a result the immune system is strengthened and the risk of allergies reduced. Studies have also shown the importance of a natural ecological balance in the environment. Rather than attempting to eliminate all exposure to allergens, on the contrary, it has been shown that children with pets have a lower incidence of allergies like hay fever and asthma. Some exposure to house dust and a little dirt appears also to be good thing, so parents should not be fanatically obsessive in their cleaning efforts. Homeopaths and naturopaths have also long argued that infections and diseases have a role to play in strengthening our immune system. The occasional cold, for instance, is a healthy thing and prepares our immune system for more serious challenges later on. We believe the same applies to childhood diseases such as measles, mumps and chicken pox, which may protect against the incidence of chronic disease later in life. Whatever the short term benefits of our increasingly aggressive vaccination schedules, there may be price to pay later in our general health and immunity. We find that vaccinations can also be a trigger for allergies, and here we can use specific medicines to counter vaccine side effects. Homeopathy treats colds and other childhood diseases by prescribing specific medicines that can work quickly by strengthening the body’s own immune response and that deal with pain, inflammation and fever and prevent secondary complications. As a result, the child’s own immunity is stronger, and there is less potential for allergies to develop. The basic approach of homeopathy to treat problems like eczema, asthma and hay fever is to treat the individual as a whole with a “constitutional medicine”. This takes into account the whole personal medical history, family history, symptoms of the allergy itself, but also everything about the patient, including their personality and temperament. Remember, the naturopathic approach to diet as outlined above may be included, particularly if the patient’s diet was poor to start with. At our Perth clinic, symptom relief can usually be achieved quickly. For conditions like hay fever, asthma and hives we may also prescribe symptomatic remedies for quick acute relief to take as needed. But in chronic, long standing cases we usually advise commitment to at least six months to a year of treatment for full results, and improvement is usually steady and gradual. Bear in mind that the orthodox approach treats the symptoms only. If necessary in stubborn cases we sometimes use a specific homeopathic desensitising protocol. 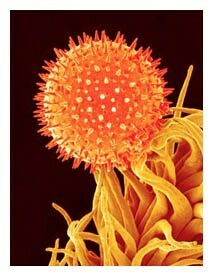 For the treatment of allergies related to hay fever, rhinitis and sinusitis, see this page.